Eldridge Plays and Musicals. Happy Pi Day! The opening, with a character face down in a meringue pie, sets the tone for the entire farce, and the comedy never stops. The mistress of a Long Island estate is very rich, completely eccentric, and suspiciously homicidal, and yet she regularly gets lost in her own home. So how has she managed to get away with murder? Lady Di has accomplices of course! 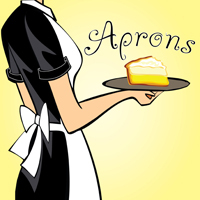 Four of them to be exact: Adeline, Lydia, Angel, and Felicity, each uniformed in a white apron, armed with a feather duster, and humorously dangerous as they have chosen to protect their employer from the police in order to perpetuate their very generous incomes. But when the body count takes a sudden jump, the camaraderie of the maids begins to unravel into comedic chaos as they struggle to sweep the bodies under the rug and hidden from both an attorney and an off-duty homicide detective who happens to be married to one of them. And when confession leads to arrest, the women learn the valuable lesson that crime doesn’t pay . . . or does it? A perfect comedy for community theatres. Read more. 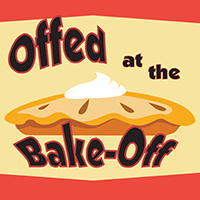 Flying accusations and flying pies are just a few of the fun ingredients that make this murder mystery a recipe for a hilarious night at the theatre. Flashback to 1955, the stormy evening before the 33rd annual Knotting Bake-Off, brought to you by J & J Toothpaste. The contestants have gathered at the Knotting Inn down at the Jersey Shore, each hoping that their perfectly crafted baked good will win the coveted blue ribbon. It seems someone’s dessert is more deadly than tasty, though, when they discover an entire gaggle of bratty students have been poisoned during a press conference. It is clear that someone at the inn has a sweet tooth for murder. But who could the culprit be? The egotistical bake-off champion? The hard-of-hearing elderly man? The practical jokester nun? The silent fitness model? The clumsy reporter? The amnesiac woman? Or one of the other kooky bake-off contestants roaming around the inn? When a detective (whose name also happens to be Detective) arrives on the scene, he asks the audience to help him figure out whodunit. Read more. 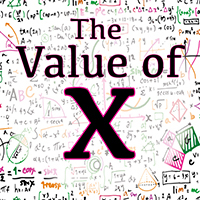 "The Value of x" centers around Hayden Ferovick, a successful female physicist at the height of her career who is tragically reaching the end of her life. The dying woman recounts key moments where her gender had a profound effect on her journey as a scientist and mathematician. Hayden’s story begins to interweave with two women who shared her same struggle over three hundred years ago. Emilie du Châtelet, a colorful, upper-crust French scientist who befriends playwright/poet Voltaire, creates the definitive translation of Newton’s Principia – but is later wiped from most history books. Mary Fairfax Somerville, a Scottish woman of modest means, fights for her right to educate herself and even own books in the early 19th century. These true stories from history blend together to reveal a bigger picture about the continuing struggle of women in the fields of math and science. Inevitably, Hayden will die… but as she passes she is greeted by Emilie and Mary, who reassure her that energy doesn’t go away – it merely changes form – and that wonderful things are ahead for Hayden. Read more. High school senior Kimberly is the founder and president of the school’s undefeated all-girl math team. 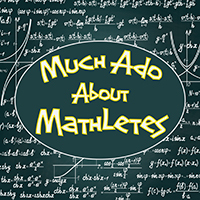 She expects nothing but the best from her mathletes, especially since it’s her senior year and her last opportunity to compete and secure her legacy. Unfortunately, things don’t always go as planned. One of their members is suddenly forced to sit out the rest of the season, so their first alternate — Monica H. — must step up and compete even though she longs desperately to join the drama club instead. A possible solution presents itself when Mr. Roberts tries to put Jared on the team, but the other girls aren’t on board… after all, this was supposed to be an all-girls team. They debate, argue, and ponder (sometimes in Shakespearean-style verse), as they try to find a solution all of them can live with. Read more.